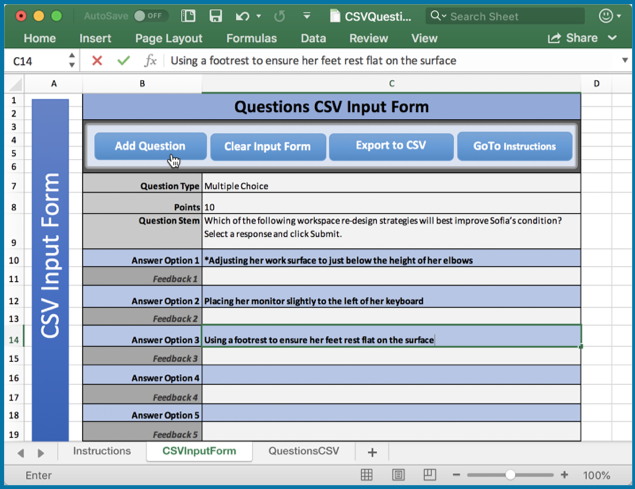 With Adobe Captivate (2019 release), you can now bulk-import the questions to your projects using a CSV file. 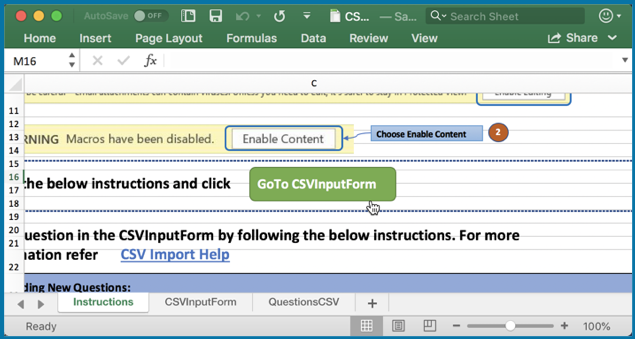 The supported question types for CSV import are true/false, multiple choice, matching, fill in the blanks, and short answers. 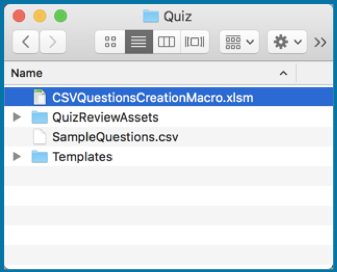 You can either use an example CSV file shipped along with Captivate and add the questions directly to it, or you can use a Macro-enabled excel sheet to populate the questions and then generate a CSV file from it. Paste it in your local folder. Read the instructions and then click GoToCSVInput Form. Add the question details in the form. And then click Add Question. Click Clear Input Form and add the details for the next question. Follow these steps till you have finished adding all the question details. Then click the Export to CSV button. If you are on Windows, you will be able to directly save the CSV file. Then create or open the Captivate project where you wish to import the questions. 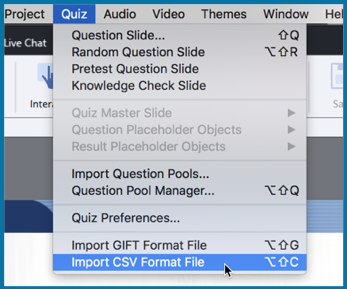 Go to the Quiz menu and select Import CSV Format File. 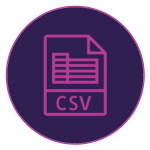 All the questions from the CSV file will now be added to the Captivate project. Adobe CaptivateAdobe Captivate 2019blogCSV importquestion slidesQuizWhat's new? I have drop down (SD) and Multiple Choice Multiple Response (MR) questions that are not being imported with CSV.